Logan • With hundreds of football alumni looking on, the Utah State team beat the Aggies team 38-14 on Saturday at Maverik Stadium to cap Gary Andersen’s first spring practice since returning to USU in December. 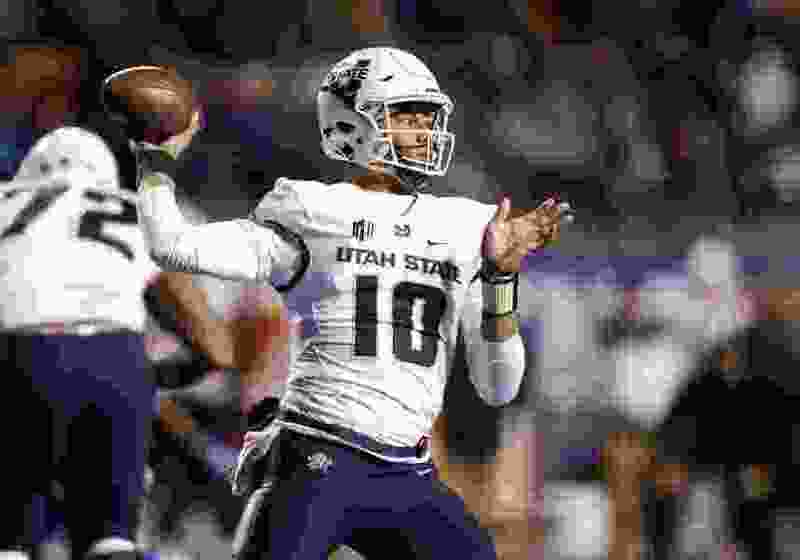 To no one’s surprise, quarterback Jordan Love commanded the most attention, throwing two touchdown passes in limited playing time, connecting with junior wide receiver Savon Scarver on an 11-yard completion and later with redshirt freshman wide receiver Sam Lockett on a 12-yard completion. Senior running back Gerold Bright also scored on a 1-yard run, while freshman running back Enoch Nawahine found the end zone following a 6-yard run. However, the spring game was just a small part of the weekend. Andersen welcomed back nearly 300 alumni, which included numerous current and former NFL players such as Chris Cooley, Greg Kragen, Nevin Lawson, Phil Olsen, Donald Penn, Al Smith, Robert Turbin and Bobby Wagner, among others. The group all got together Friday night, then took in the game on Saturday. “It’s real special for all of those NFL guys to come back,” said Andersen. “For them to be able to come back and be a part of this was awesome. A lot of those guys are leaving here and driving down to Salt Lake and getting on an airplane and going to [NFL offseason practices]. They could have had two or three more days to spend with their families and do what they were doing in the offseason, but they came here. The event last night was special. It was four hours of great opportunities to reconnect and be around those guys." 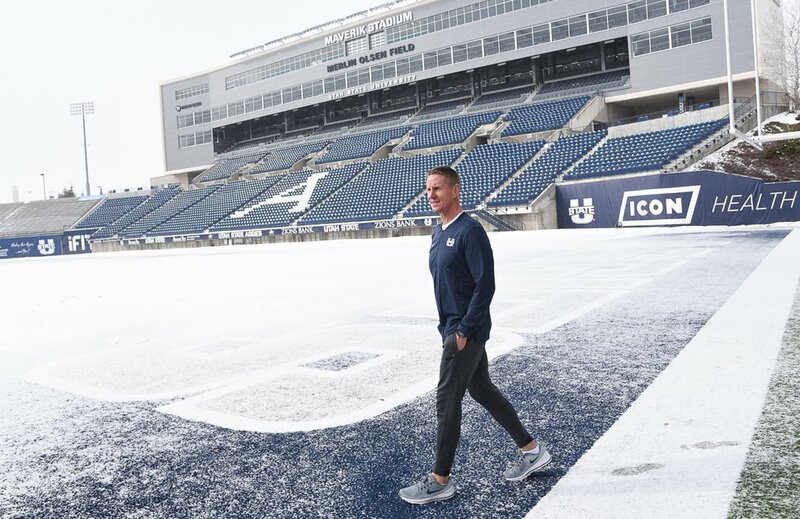 (Francisco Kjolseth | The Salt Lake Tribune) USU football coach Gary Andersen recalls a lot of memories as he walks on Merlin Olsen Field with a fresh coat of snow after going in-depth on life back in Logan. “We competed and one team was obviously stacked with personnel to beat the other team and that was reflected on the scoreboard,” Andersen said. “We stayed healthy for the most part, they had a lot of fun and competed like crazy, and there were a lot of plays made out there. The playmaking at the wide receiver position was good today. We saw some big plays, some yards after catch, and some fantastic catches in the end zone, and they were all contested balls, so that is good to see."